You are here: Home / freebies / Thursday Night Round-Up: The day’s best coupons, deals and freebies! If you missed any of today’s posts, here are some of my favorites! 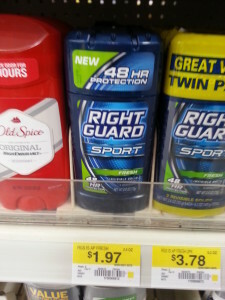 Right Guard Deodorant $.97 each after coupon! Smashburger $5 off ANY $5 purchase coupon! USA Kids Sippy Cups just $1.73 each! M&Ms only $.25 per bag at Walgreens next week! Kroger Double Fuel Rewards Coupon! 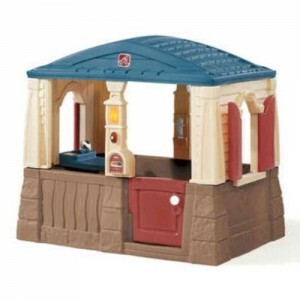 Step 2 Neat & Tidy Cottage Playhouse only $107 SHIPPED! Stock up Deals on AA and AAA batteries! Hello Kitty Area Rug just $7.99 SHIPPED! Happy Nappers Pillows as low as $7.99 each! Dixie Paper Plates STOCK UP deal! Grove Square K-cups as low as $.27 each SHIPPED! San Francisco Bay Coffee Breakfast Blend K-Cups just $.29 each shipped! CaseCrown Kindle Fire HD case only $3.99! Britax Frontier Booster and Car Seat only $185 shipped! SOHO Baby Walker only $4.30 shipped! Pampers Soft Care Baby Fresh wipes (7 tubs) for $8.28 shipped! Paper Products Round-up: stock up deals on toilet paper and paper towels! Amazon Top Deals for the week!! Brawny Paper Towels as low as $.72 per single roll shipped! Glad Tall Kitchen Drawstring Trash Bags (45 ct) as low as $5.94 shipped! 2 pairs DG Designer Sunglasses only $10.24 SHIPPED! 4 American Girl Movies for $10.99! Vintage Owl Charm Necklace only $.64 SHIPPED! Stock up Deals on Quilted Northern Toilet Paper! Mickey Mouse Cookie Cutter only $.60 shipped! Cottonelle Clean Care Toilet Paper just $.24 per roll SHIPPED! Huggies Snug & Dry Diapers as low as $.13 per diaper shipped! Body Armor iPhone 4/4s case for $2.59 shipped! Scott Extra Soft Toilet paper just $.24 per roll SHIPPED! 10 Velvet Animal Finger Puppets only $2.92 SHIPPED! Huggies Soft Skin Baby Wipes (7 tubs) only $8.59 SHIPPED! Luvs Premium Stretch Diapers with Ultra Leakguards for as low as $.09 per diaper shipped! Ann Loren: little girl outfits + matching doll outfits up to 60% off! 140 Personalized Labels for just $5 shipped! Top Target Deals: Free raspberries, under $1 school supplies and more! 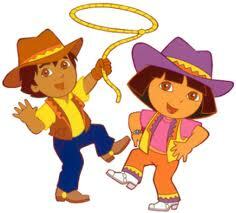 Gymboree Gymbucks Redemption has started! 4 boxes of Gevalia Coffee or Tea and 2 Stainless Steel Travel Mugs for $14.99 shipped! Pinecone Research is accepting applications: get paid $3 per survey! Taste of Home Cookbooks sale: prices start at $.49! All You Magazine just $1 per issue! 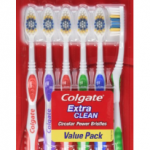 Walmart FREE and under $1 Deals! Just Fab: BOGO free shoes, hand bags and more! Valued Opinions: Earn up to $5 per survey! 4Checks.com: 2 boxes of personalized checks for $8.95 shipped! Baby Einstein Welcome Kit only $5.95 shipped! Win a $500 American Express Gift Card from Nielsen Consumer Panel! 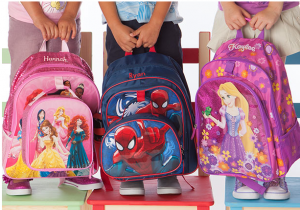 Dr. Seuss Backpack plus 5 books for just $5.95 shipped! E-Poll: Earn gift cards and cash for completing surveys! Wreck it Ralph and other Disney books for just $.99 each shipped! Back To School Deals for the week of 7/21! Disney Back to School Backpack and Sneakers Bundle only $19.97! 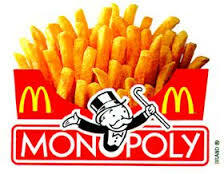 McDonald’s Monopoly Instant Win Game and Free Codes! Subway Partner Up and Win Instant Win Game! Deal or No Deal: Play online for FREE and win prizes, too! Mike & Ike Movie Mania Instant Win Game! BIC Instant Win Game: win razors, gift cards, and more! Wheel of Fortune: Play online for FREE and win prizes, too! 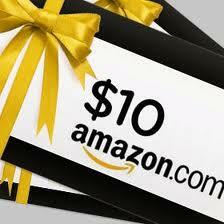 Kroger Shoppers: Get a FREE $10 Amazon, Walmart, or iTunes gift card! Herbal Remedies A-Z FREE for Kindle! ANOTHER FabKids free outfit offer! CVS FREE $3 ECB in your inbox! Lily Lemon Blossom: Welcome to Lily’s Room FREE for Kindle! FREE 30 day supply of contact lenses! Smart Cooking for Busy People FREE for Kindle! Sophie Kinsella’s Wedding Night FREE book! Free Kindle, iPad, and Nook Books DAILY! FREE 20 page 5X7 photo book! 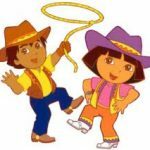 FREE Disney Parks Vacation Planning DVD! FREE $10 Sam’s Club gift card for you and a friend! Amazon Prime FREE for 30 days! 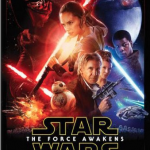 Redbox Streaming FREE for one month plus 4 free rentals! FREE online budgeting kit and tools from Learnvest! Kids Skate FREE this summer! FREEBIES for pets: free pet exam, free cat food and more! Everyday Family: Get a FREE 8X10 Photo Canvas just for registering! Try Netflix Streaming for FREE! FREE Prescription Glasses From Coastal! FREE Club LEGO 2 year Magazine Subscription! 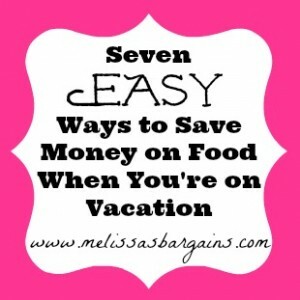 Sunday Night Round-up: The weekend’s best coupons, freebies & deals! Monday Night Round-Up: The day’s best coupons, deals and freebies!